A beautiful Celtic Love Knot pendant charm made in 10 Karat Gold, supplied without chain. 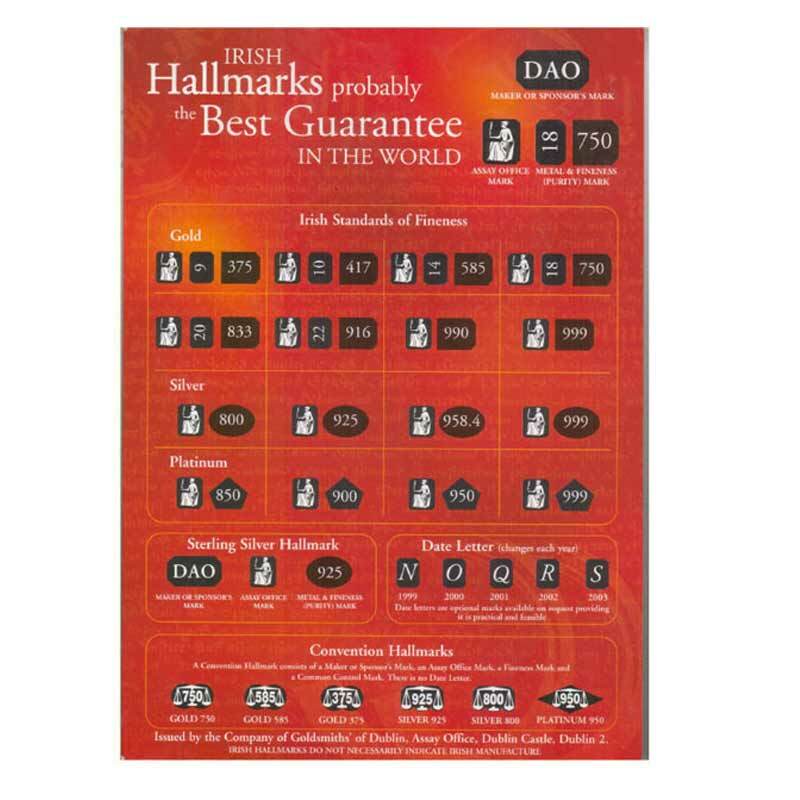 A great gift for somebody with Irish or Celtic ancestry. The piece measures 17mm x 15mm (2/3 inch x 2/3 inch) approx. 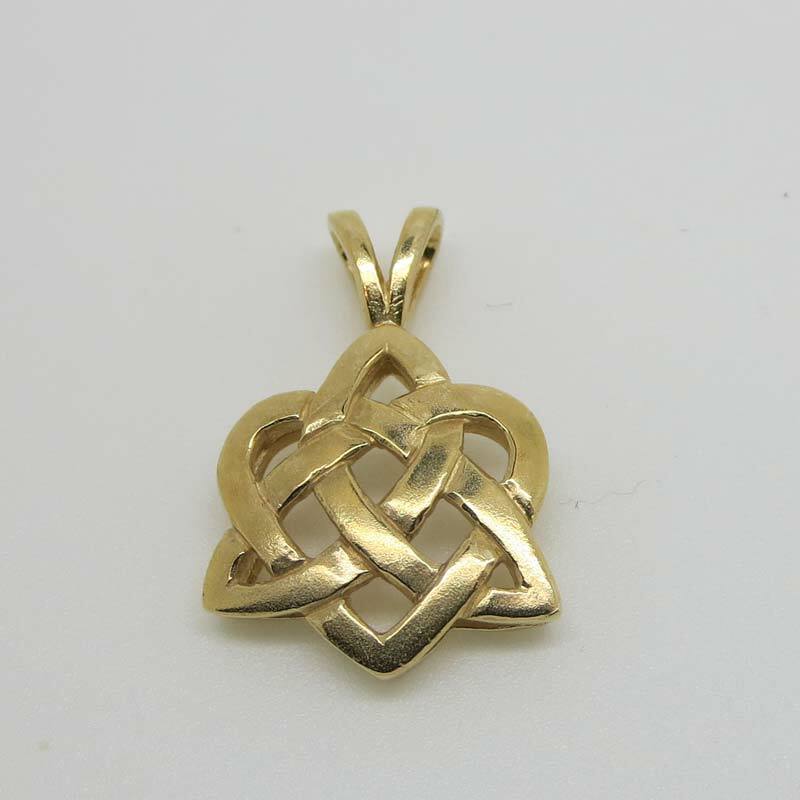 The Celtic Love Knot combines a Heart with a Celtic Eternity Knot and symbolises Eternal Love. This piece is made in Dublin by Reids of Ireland Jewellers - Reids are a family firm who are highly respected within the Jewellery Community in Ireland. A beautifully finished item in solid 10 Karat gold, hallmarked in the Dublin Castle Assay Office. 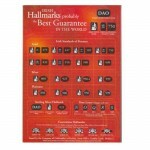 This is your guarantee of provenance and confirms the purity of the metal. Gold Claddagh Cufflinks from Fado Jewellers. The Claddagh is one of Ireland's best known symbols, th..
A Gold Claddagh Tie Tack in our collection of Irish Jewellery for men. It is stylish and trad..
Beautiful Irish Gold Cufflinks made from 10 Karat gold by Fado Jewellers who are one of Ireland..
Guinness Cufflinks in the Old Guinness Label style. Shipped in a lovely Toblerone Shape presentation..
Celtic Knot Weave Pattern Cufflinks - the inner part is Shiny Rhodium - the outer frame has a brushe..
Cuff Button Covers are a great alternative to cufflinks.They slide over the button and are snapped s..